The extended battery is a miniature rechargeable battery that can extend the battery life of the real time GPS Trackers to up to 3 months. The battery life does depend on different variables such as motion, location, and interval updates. The extended battery is used to increase the versatility of the portable Micro Tracker or other portable units. The extended battery is compatible with the following devices including the GL 200, GL 300, and GL 300W (3G) miniature tracking devices. To use the device just plug the GPS Tracker into the USB port on the battery. 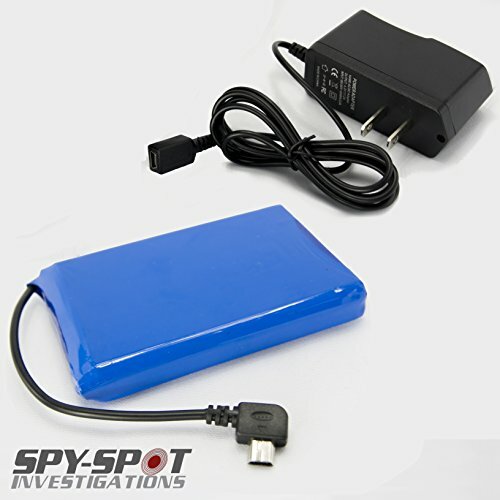 The Spy Spot Portable Extended Rechargeable Battery for Real Time GPS Trackers takes about 8-10 hours to charge and is charged directly through the wall outlet with the included wall charger cable.